As we move into spring it’s time to ditch those tired old greys and browns! The weather will be brightening along with our colour palettes, reviving last year’s pretty pastels and bold primary colours. One trend that looks set to return in 2014 is ‘painterly’ homewares, which means anything with a watercolour or brush stroke style effect. Opt for contrasting colours in strong, deliberate brush strokes for an eye-catching effect, best used on smaller accessories dotted around a room. Alternatively, work watercolour bleeds in pastel hues through every room of the house for a dreamy, springtime feel. 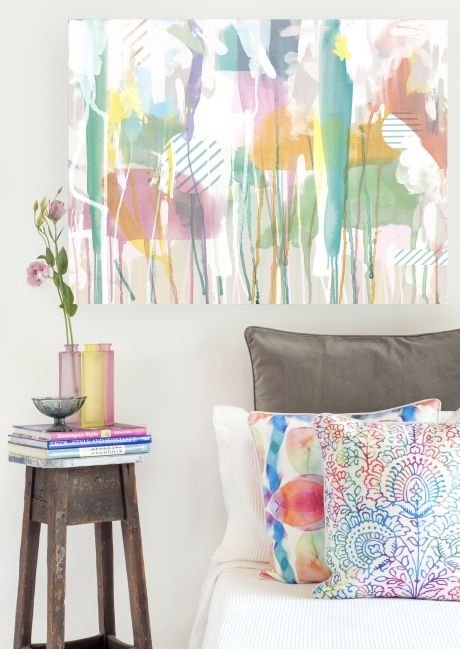 From art prints through to rugs, cushions, tableware and even glass, you can spot painterly effects everywhere. Here is a selection of products to help you bring the look into your own home.